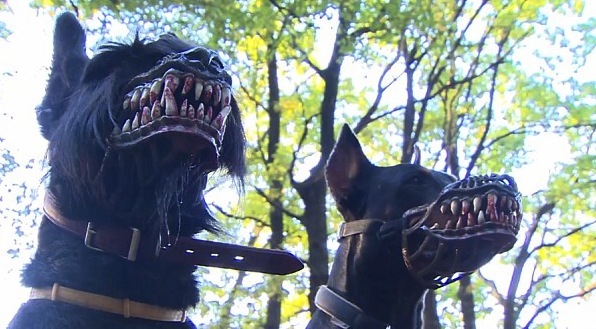 With a proper fit, they are destined to terrorize any living being within ten feet of those blood stained fangs, but your little canine pal may not be as entertained as you and your friends while they try to make sense of your vicious fits of laughter while lock-jawed. Happy Halloween. ← I love pranksters !